BlackBerry Key 2	No ratings yet. BlackBerry Porsche Design P’9983	No ratings yet. BlackBerry Evolve	No ratings yet. BlackBerry Keyone	No ratings yet. BlackBerry Motion	No ratings yet. 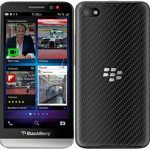 BlackBerry DTEK60	No ratings yet. BlackBerry DTEK50	No ratings yet. BlackBerry Aurora	No ratings yet. BlackBerry Z30	No ratings yet.